Down Syndrome Education International is working with developers to create new learning opportunities for children with Down syndrome using portable devices including iPads and iPods. Recently released apps support language, memory and number skills development. Computerised educational activities have the potential to offer significant benefits for young people with Down syndrome, with an emphasis on the visual presentation of information and opportunities to encourage lots of practice. DSE is working with partners in the UK, Europe and the US to create apps that target the developmental needs and learning styles of young people with Down syndrome. Some of the first of these apps are now available. Special Words teaches children to recognise written words, using pictures and sounds, on iPad, iPhone and iPod touch. The app has 3 games with increasing difficulty, Match Pictures, Match Words and Match Both. Special Words comes with the vocabulary and pictures from the early steps of DSE’s See and Learn Language and Reading program, comprising of 96 written words children use in their early vocabulary. It includes matching pictures, written and spoken words, in 8 languages: American and British English, Spanish, Catalan, French, German, Italian and Swedish. Users can easily replace the words and re-record the audio in any other language their child uses. Users can add more words, pictures and sounds for family members, friends, and familiar objects, to increase their child’s interest, and further develop their vocabulary. Special Words was developed by Special iApps, a social enterprise founded by parents of a child with Down syndrome who have many years of experience in both education and software. 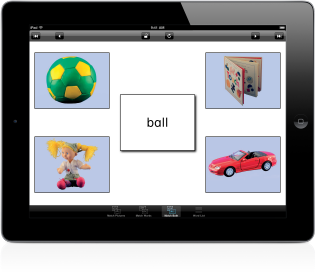 Special iApps is donating a proportion of the global sales of Special Words to Down Syndrome Education International. Memory Fun is a memory game where the user has to remember the position of picture cards in order to recall the location of two matching cards. Starting with just four cards to choose from, up to 18 cards can be displayed with a vocabulary of over 100 words. 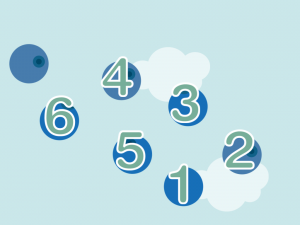 Counting Fun is a simple counting game designed to encourage practising counting from 1 to 10. Sound effects and animation engage the child’s attention while they tap each item displayed on the screen to hear and see each digit. Felix Education Apps is a family run business based in Oslo, Norway, designing educational apps. Felix Education Apps is donating a proportion of the global sales of their apps to Down Syndrome Education International. These apps have creates games which are needed to be installed and when the children play that they just feel over whelmed with the new data in their mind and click here and there to defeat the opponent.